Hello, everybody, from Decin in the Czech Republic! 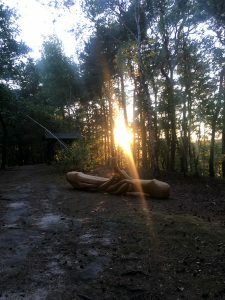 It’s been a while, but I return to weekly updates of adventures and happenings in my world. Some lessons and tips along the way. We have been working hard at Digital Nomad. It took a couple of months, but I recently became an e-Resident and e-Business owner in Estonia. 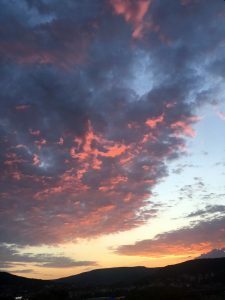 This has allowed us to splinter a new enterprise specifically related to digital nomads and the nomadic work-travel life. 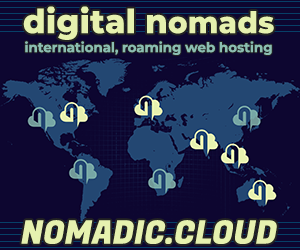 Mother.Domains has been assembling world-first web hosting specifically for digital nomads that I will talk about more in the weeks to come. 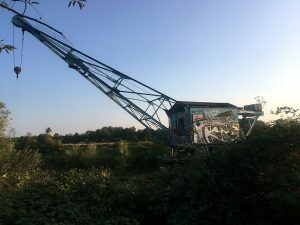 Recently, I enjoyed three and a half months at the awesome Sandino World Improvement Network in Berlin, but “productivity” and “hostel” rarely occupy same sentences. With most other guests on holiday in the very tranquil Sandino confines, I lost my motivation, momentum and edge on the business side. I need to shake things up. After a lovely night and day in Dresden last Thursday, I’m now in the Czech Republic. Here’s a short update from my world. I’m visiting my New Zealand artist friend Peter at his building in Decin. This particular week I’m looking after his place and plants while he’s in Denmark attending the Borderland Burning Man festival. 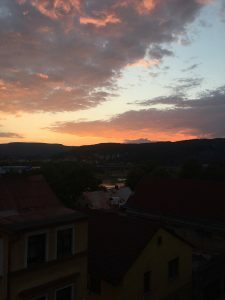 I enjoyed Borderland last year, but between the venue change negating my prolific art/music project, and not wanting my week dominated by my ex-girlfriend I met there last year, I opted to stay in Decin, and work. Instead, my German friend Laura who I met in Bangalore in March visited earlier this week. 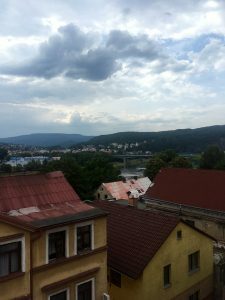 We went on several days of exciting walks exploring Decin, even hiking up to the fairy tale castle on a cliff. We preferred walking a little further to the wonderfully still forest at the top of the mountain. Decin is located in the same Bohemia region as is Prague. This is a picturesque, magical area that once was home to many castles, kings and princesses. Decin has a population of around 50,000 inhabitants, and seems to be largely vacated during the summer holidays. There is no English here. Czech is not an easy language for English speakers, and vice versa. People are generally grumpy and don’t say hello, but it’s otherwise polite and peaceful enough. There’s not much happening. A few things Decin has in abundance: Supermarkets, bored police officers in patrol cars, and incredible, magical lighting. There are some nice cafes and restaurants, and the view of the town at sunset is spectacular. The complementary pastels of the buildings take on a dazzling dimension as the sun falls behind a mountain. It’s cheap here. Beer is cheaper than water – less than a Euro for pints of beer. Water quality here is exceptional, improving legendary Czech beer’s taste further. Basic meals are a few Euros, and even the fancy places aren’t too expensive. Be warned of ATM withdrawal fees! Mistakenly accepted €8 charges last week. Today in Prague it was a more palatable €3. Beyond that it’s inexpensive and highly affordable, even in Prague, as a country still in development. 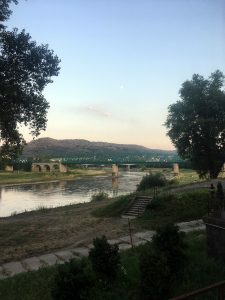 This morning I took a train from Decin to Prague, to further explore the capital and make some new connections. Specifically, I need to find a videopgrapher for a corporate project. While I’ve previously visited Prague a couple of times, I’m yet to stay the night or sample the nightlife. 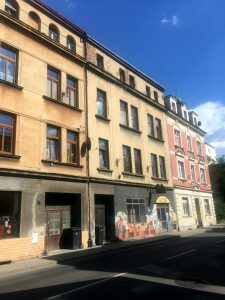 I’ve booked two nights at Hostel Marabou in Prague (only €10 per night!). I’m checking out and compiling work-friendly cafes and co-working spaces, and meeting local digital nomads. We’ll publish a feature on Prague Digital Nomads in the coming weeks. Mutual friends through the Burning Man community are presently working out of Prague, and we’ll catch up over the weekend. I want to visit a few clubs, and maybe even witness a sunrise from the riverside. I expect to return to Decin by Sunday evening, though you never know who you’ll meet or what might happen! It’s my final time for extended peace and quiet before life gets extremely crazy, possibly through the end of the year. 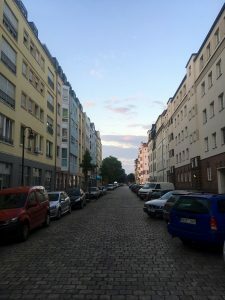 Coming Soon – European Adventures! It’s nearing the business end of the year for myself, the entire Nomadical family, and Mother.Domains. Time to drum up interest and leads for our upcoming Nomadic.Cloud web hosting for digital nomads, the new Nomadical App, and even my forthcoming book, Plan Sea. Throughout August, I am touring through the Baltic countries, including Poland, Lithuania, Latvia and Estonia. My ancestry includes Lithuanian and Polish roots, on my maternal great grandparents’ side, and this will be my first visit. I’m visiting Estonia’s capital Tallinn to check out the city where my new company is registered, and to open a business bank account. After that, there are a few open weeks. I’d like to check out Budapest and Vienna before returning to Germany for a few notable happenings in September. Munich and Leipzig are the two remaining German cities I’m curious about. It’s readily realistic I’ll be visiting 12 different cities over the coming 12 weekends, with another dozen cities during weekdays. Exhausting to think about. 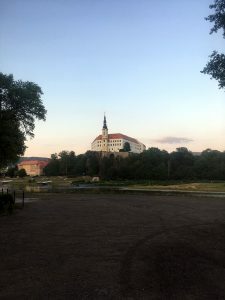 I am considering staying an additional week in quiet Decin to complete necessary tasks while better preparing for the journey. 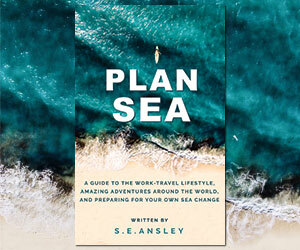 I’m finishing up Plan Sea over the summer, and plan to release and tour the book from November. I’m thinking of living in the UK through October, first time since as a baby. Each week I’ll be updating on adventures past, present and future, ahead of the weekend. Next week I’ll share reflections on Prague, and preview the first leg of my Baltic tour – likely somewhere in Poland. Please join our Facebook page here, and sign up for the Nomadical.App mailing list. We’ll keep you posted when our free app for digital nomads all over the world is ready to play with. Until next time… enjoy your own adventures!